Over the years, Frank Ferrara & Son, Inc. has worked closely with retail clients like Vanity Fair (VF) to handle their various construction needs. 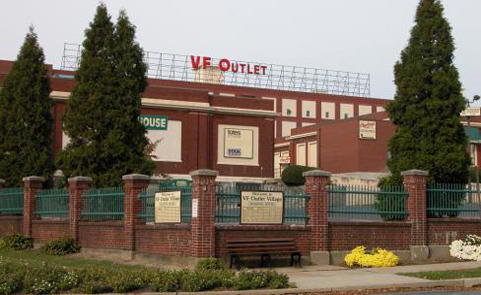 We are proud of our long standing relationship VF stemming back over 30 years. Retail projects require careful attention in order to help facilitate a smooth transition for new stores, while avoiding customer inconvenience. Common challenges include material staging, tight time frames, work area limitations, as well as debris and dust restraints. We overcome many of these constraints using smart scheduling, early start times, isolated cutting and staging areas, and carefully planned shift work. We are proud to be associated with VF over the decades. Corporate Offices, VF Food Court, Perimeter Masonry Piers, Reading China & Glass, Liz Claiborne, Douney & Bourke, Coach, Jones New York, Timberland, Totes, Black and Decker, Auntie Anne's Rawlings, and ADA Doors, Restrooms, and Dressing Areas.